$9.99Green Foam Light Up Glow Stick - 18"
Kids can’t see and costume doesn’t stay in place. Have another plan.. hard for them to walk. 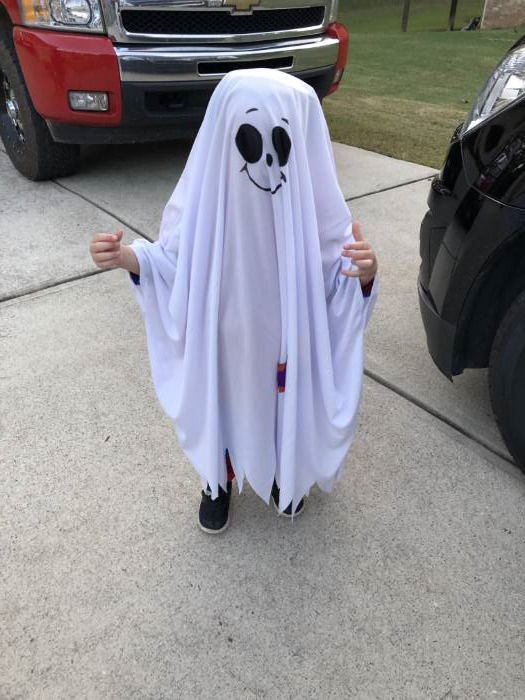 My 5 year old picked this costume out. It arrived today and he was thrilled! 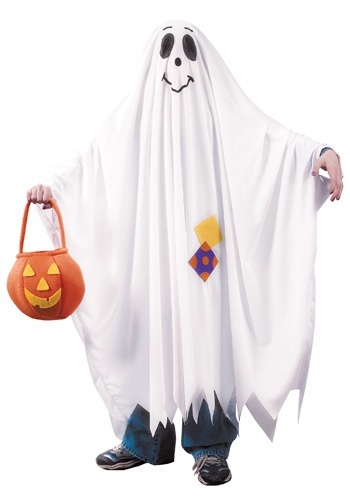 This is a simple to wear costume, and combines the traditional Halloween concept with a cute enough look for a smaller child. It is pretty well made, so my 5 year old is looking forward to wearing it for the different events in town. I think it should endure multiple wearings. These got rave reviews when used on display mannequins. This costume is awful!!! 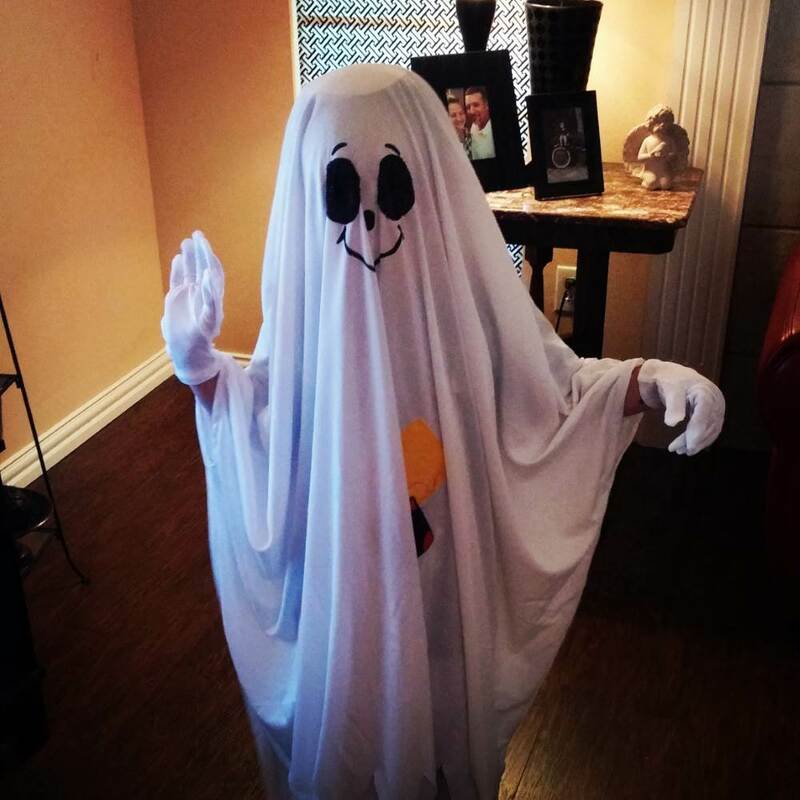 My granddaughter wanted to be a ghost for Halloween, so I purchased this costume. It arrived today. She couldn't see while wearing it. The white fabric had a cutout less that the size of a quarter behind the black netting. I cut the white material so that the eye openings behind the black netting would be larger and give her a better opportunity to see. I put the costume back on her. Every time she would move her arms, take a step, etc. the material would shift, and she could no longer see anything. Accidents waiting to happen!!!! If I could, I would give this costume a - 5 rating!!!! DON'T BUY!! I just noticed that this rating has to be submitted for approval...guess this rating won't be published!! Simple, classic, and really cute! The openings for the hands give the "shifty sheet" some control. The fabric has body, not just a flimsy sheet. My 5 year old son was delighted with it!